Ukraine will have to pay international creditors more than $60 billion (€44 billion) in the next 18 months amid dwindling hard currency reserves and in the context of upcoming presidential elections in March 2015. Ukraine's presidential election in early 2015 is the focus for investors, who reckon that the government will then be willing to sign up to a desperately needed loan from the International Monetary Fund. Before that, though, it would prefer to scrape by rather than accede to the IMF's politically difficult demands. The country's debt problems shot into the spotlight this month when its state oil firm Naftogaz narrowly escaped default – not through lack of cash but because of action by a US-based creditor which successfully petitioned a UK court to seize a bond coupon payment in lieu of an old $22 million (€16 million) debt. Ukraine paid the $22 million again to avoid default. But it could ill-afford the extra payment, given that central bank reserves are barely above $20 billion (€14.6 billion) – less than enough for three months of imports. And many more payments loom. Over $60 billion, or a third of the country's GDP, is due in the coming year, central bank data showed at the end of July. Of this, the state owes $7 billion (€5.1 billion). With the exception of hedge funds and opportunists keen on the high yields, most have ducked out, an exodus that gathered speed last month as Moody's cut Ukraine's credit rating to Caa1 – seven notches into 'junk' territory. An International Monetary Fund (IMF) loan would at a stroke resolve many of the problems, putting cash in the bank and reassuring global investors. But the IMF's loan conditions – currency flexibility and cutting energy subsidies – will be unpalatable to a government facing elections in 2015. Export revenues are down, along with prices for steel, which comprises a quarter of Ukraine's exports. And if C-rated Ukraine were to issue Eurobonds, it would have to pay 10%-plus yields to induce investors to buy. "Our base case is there will be enough cash to service next year's obligations but… there is going to be a significant drain on FX reserves," Barclays strategist Andreas Kolbe said. On the plus side, Ukrainians have $23 billion in hard currency bank savings that the state can tap via domestic dollar bonds. Such issuance has raised over $3 billion this year. Ukraine's high yields may well persuade bond buyers to overlook its troubles. Max Wolman, a fund manager at Aberdeen Asset Management, says Ukraine makes up over 3% of the EMBI Global, the main emerging debt index and excluding it from a portfolio is not easy. Wolman predicts, first, that creditors, including the IMF could grow kinder to Ukraine after the expected Nov 28 signing of political and trade deals with the EU. Second, he expects that billions of dollars in outstanding loans and trade links will dissuade Russia from pushing Ukraine into bankruptcy. Ukrainian economist Borys Kushniruk said: "Indeed, over the current 18 months the government of Ukraine and Ukrainian companies have to pay off a USD 62 billion debt to external borrowers. But we should pay attention to the fact that USD 22 billion are made up by commodity credits, which don't need to be repaid by monetary resources: they are repaid by counter deliveries of goods." 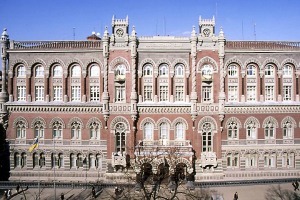 Ukraine was hit by the economic crisis of 2008 and in November 2008, the IMF approved a stand-by loan of $16.5 billion (€12.6 billion) for the country under a Stand-By Arrangement (SBA) and effectively provide almost $11 billion (€8.2 billion). After the presidential election and government reshuffles in Ukraine, the 2008 Stand-By Arrangement was suspended, and the IMF decided to renew its loan partnership with Ukraine in the summer of 2010 through a new programme worth about $15.6 billion (€11.6 billion). The first instalments were released in July and December. However, an IMF mission that worked in Kyiv in March 2011 could not recommend to the IMF Executive Board that it approve a new tranche for Ukraine. The IMF had expected Ukraine to approve pension reform and settle the problem of low prices of natural gas for households first. On 4 November, an IMF mission released an announcement saying that the mission was taking a pause for additional technical work. According to experts, Ukraine may strike a deal with the IMF before the presidential elections in March 2015. Incumbent President Viktor Yanukovich expects to benefit from this move, as well as from the signature of a free-trade agreement with the EU at the Vilnius summit in November. 28-29 Nov.: Eastern Partnership Summit, to be held in Vilnius under the Lithuanian EU presidency. Ukraine hopes to sign the agreement there, and Moldova and Georgia expect to initial similar agreements.